My schedule is finally back to normal after our move, but I still find myself reading a lot of audiobooks. This month I have Natalie Lloyd and Stephen King to thank for keeping me entertained on audio while I did boring household chores. But first--three books I read the old-fashioned way! The first book is from a Twitter friend of mine who is an amazing woman. She sold a four-book deal to Simon & Schuster when she was only 20 years old. 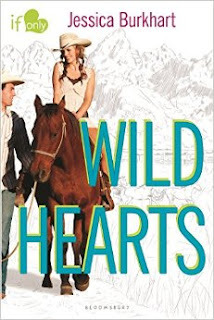 In the eight years that have followed, she has sold more than 20 books, including Wild Hearts. This was the first book of Jessica's I've read, but it won't be the last! She has a talent for describing a setting so vividly, you feel as if you're standing in the middle of it. She perfectly captures the mind of a teenage girl, complete with a love for makeup and a desire to fit in. Added to that is a mega-conflict that forces the main character to choose between family loyalty and her own convictions. 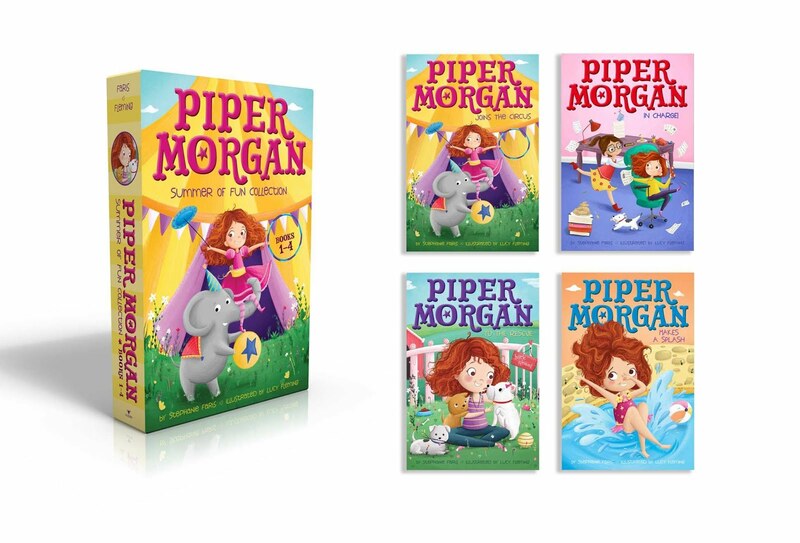 I can't wait to read more of Jessica's books! 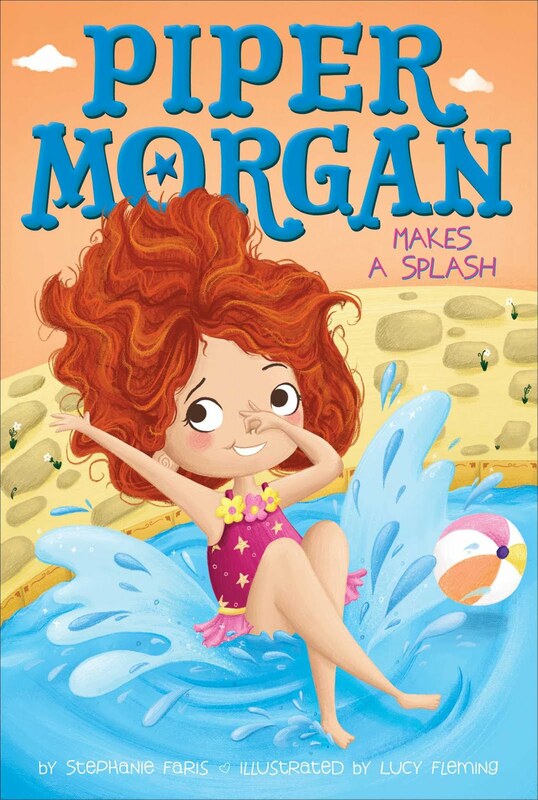 I was so excited to finally get to read this book from my blogging friend Megan Whitson Lee. 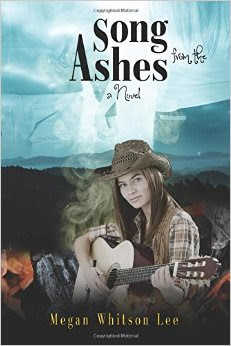 Song from the Ashes tells the story of a man who is torn between the woman he feels obligated to marry and the woman who has captured his heart. It has a Christian undertone to it, which makes the main character's struggle all the more compelling. The characters and their stories are so realistic, you'll feel like you know them. 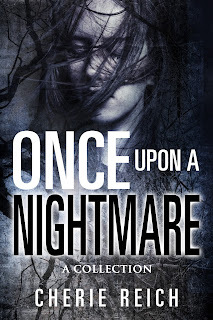 After reading two romances, I was ready for a scary read! J.H. Moncrieff didn't let me down. I love J.H. 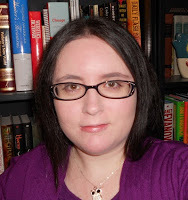 's spooky blog, which usually includes riveting stories about unsolved mysteries, so I knew I'd love her book, too. 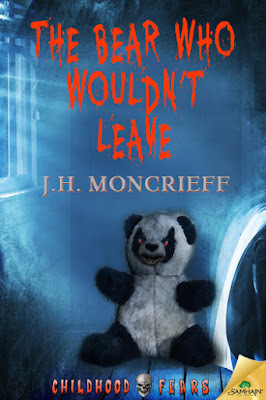 The Bear Who Wouldn't Leave does what some of the best horror stories ever have done--it turns an innocent childhood toy into something scary. Can anything be spookier than an evil teddy bear? I have to say, this book is about so much more than an evil teddy bear. It's dark and complex and it pulls you right in and won't let you go. You can't help but root for Josh and the surprise ending will have you thinking about this book long after you put it down. My first audiobook this month comes from the lovely Natalie Lloyd. I sat with her and Kristin Tubb at a booksigning in early May and vowed to read both their books. 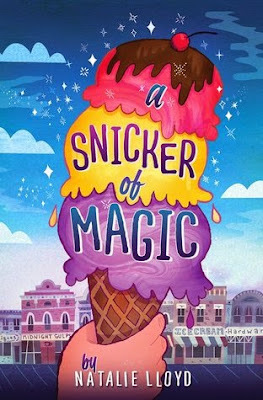 When I got home, Natalie's book, A Snicker of Magic, was already on my Audible.com wish list. I downloaded it and started reading right away. How can you resist this cover? I have to say, this is one of those awesome books that may be better on audio. 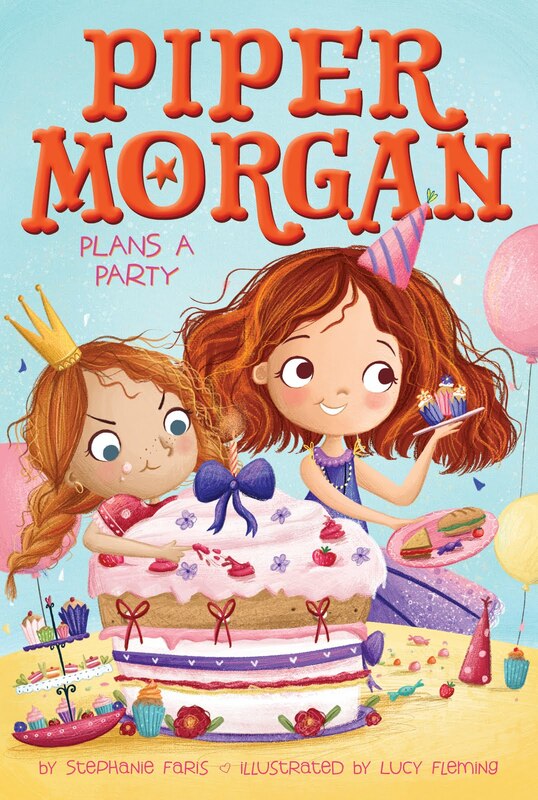 The narrator has the perfect voice with just enough of a Southern accent to be extra charming. A 12-year-old girl named Felicity Pickle moves to Midnight Gulch with her mom. She soon finds that the entire town was once magic. To stay, she must find a way to bring the magic back...but in the meantime, she'll meet a cast of memorable characters and hear a series of interesting stories. This is the type of book that helps you escape from the stress of everyday life, transporting you to a magical place as only a book can. And here's my second audiobook. 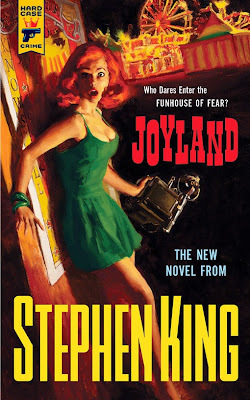 It had been a while since I'd read a Stephen King novel, but the cover to Joyland had long fascinated me. This book is one of Stephen King's shorter books, which is a good thing for those of us who can't quite commit to one of his 1,000-page tomes at this point in our lives. Joyland is the story of a teenage boy who takes a job at a carnival for the summer. Of course, all is not as it seems at this particular carnival. I enjoyed it, but if you're looking for a great Stephen King read from recent years, I'd recommend 11/22/63. What's the best book you read in June? Tell us in comments or add your name to the list and tell all of your readers! 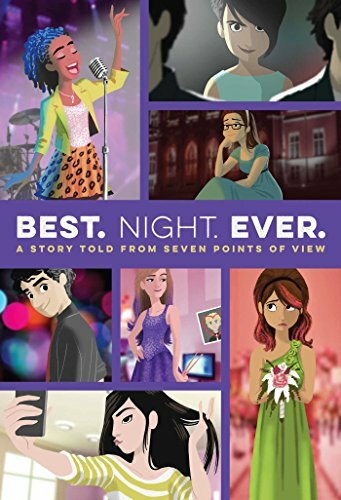 What if Two Teen Reality Stars Wrote a Novel? 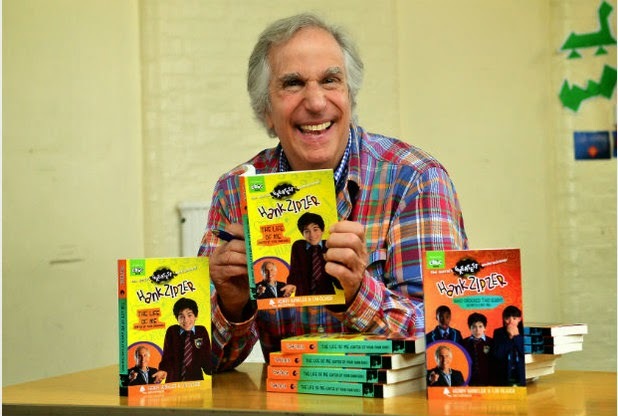 Celebrities write books. Not just biographies, either. In fact, quite a few Hollywood actors and actresses have published novels. 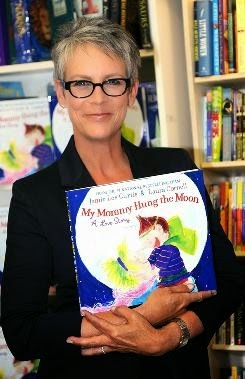 Jamie Lee Curtis is a prolific children's author. 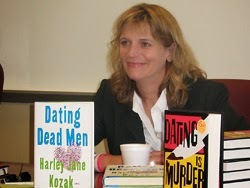 After a brief career as an actress in the 80s and 90s, Harley Jane Kozak formed a very serious career as a novelist. In fact, of all of them, she seems to be the only one who considers herself more author than actor. 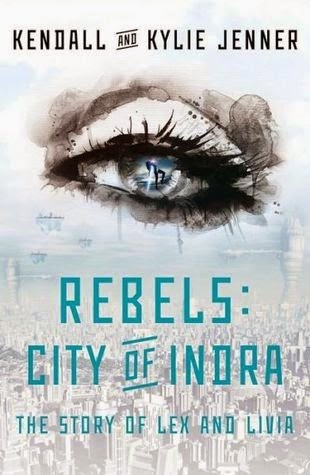 Rebels: City of Indra: The Story of Lex and Livia has 160 customer reviews on Amazon. The vast majority of those reviewers give it one star. 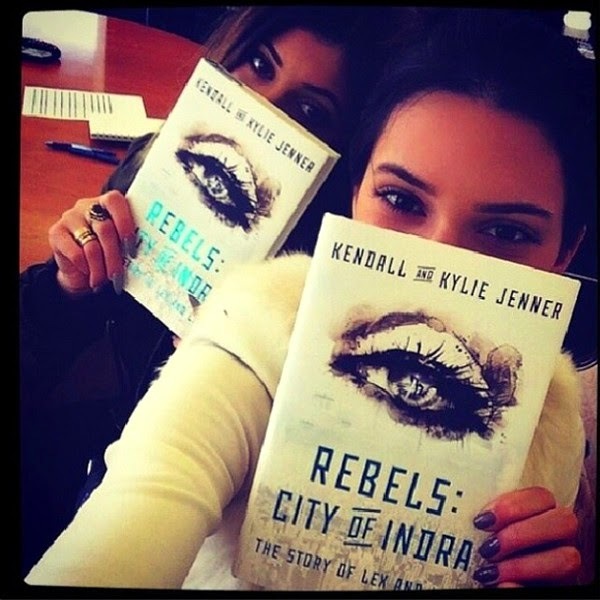 Yet one of the K-girl authors (can't keep any of the Kardashians straight) said, "The fans seem to love it. That’s why we did it, [the characters]' names are Lex and Livia. I think we wanted to make Lex more like me and Livia more like Kendall, and they kind of evolved into their own characters." I would never discourage a young person from writing unless the only reason is because you're so great, you know your fans will want to read about fictional characters just like you. Oh, and if you do release a novel, try to look a little less like you're being forced to promote it. 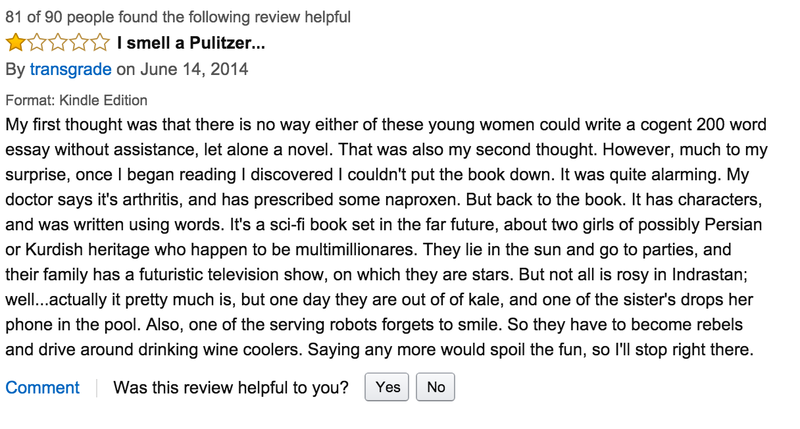 Gotta love a funny bad review (unless it's about your book). Today, I'm excited to welcome blogger Cherie Reich as part of her blog tour for Once upon a Nightmare. 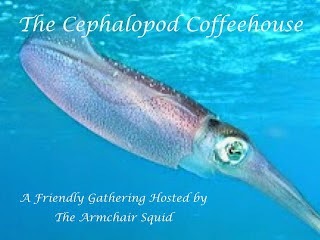 Be sure to stick around after the blog to read all about Cherie and her book, which is a collection of short stories. “If you’re finished early, then you can go into the reading loft and read.” Mrs. Holt, my third grade teacher, said the magic words. I turned in my test, shuffled through my desk, and clutched a library book to my chest. My prized possession. I climbed the ladder into the reading loft and sat in the corner. The well-loved library book had seen better days. 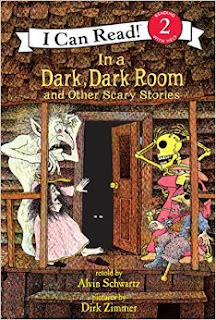 I carefully found my page and prepared to read my favorite horror story again, “The Green Ribbon” from Alvin Schwartz’s In a Dark, Dark Room and Other Scary Stories. Although I don’t remember the other stories from that collection, I still remember “The Green Ribbon” and what happened to the girl-turned-woman once the ribbon was removed from her neck. The twist at the very end had me hooked on horror stories. So much beauty and tension as she found her love and withheld her secret of why she wore the ribbon around her neck until her deathbed. When the secret was revealed, I’m sure I gasped and touched my own neck. A perfect horror ending. Until “The Green Ribbon,” I read a lot of mysteries, particularly Nancy Drew. Horror had elements of mystery within it, so perhaps it was a natural progression. Instead of discovering who committed the crime, I was delving into the depths of unnatural creatures and twists that could send any kid to the light switch at night. I devoured what R.L. 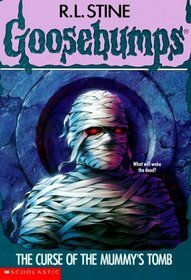 Stine’s Goosebumps books I could find. My favorites involved the mummy ones, A Curse of the Mummy’s Tomb and Return of the Mummy. I remember watching the Goosebumps show on Saturday mornings as well as Tales from the Crypt. 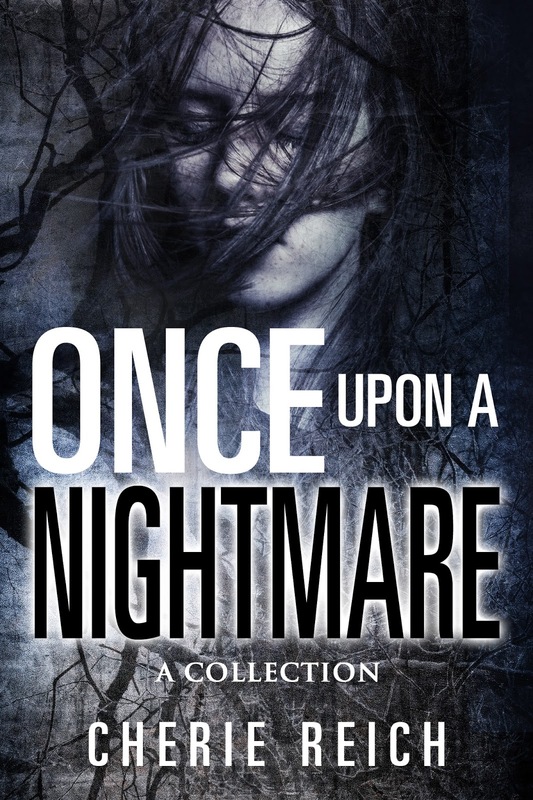 By high school, I had graduated to Stephen King and eventually wrote horror stories of my own, including my collection Once upon a Nightmare, but I will never forget the woman with the green ribbon around her neck and how that story started my spiral into the dark realms of what goes bump in the night. Do you have a favorite childhood horror book/story? 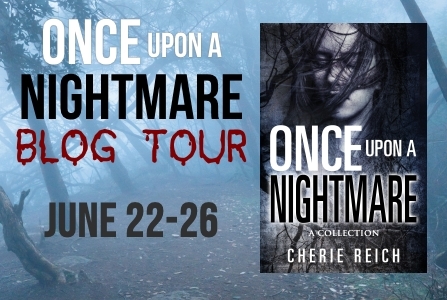 Purchase Once upon a Nightmare: A Collection by Cherie Reich at Amazon. From June 22-28, the collection is a Countdown Deal for only $0.99!